The Christmas time is the most magical part of the year and in Prague, it has truly unforgettable atmosphere. 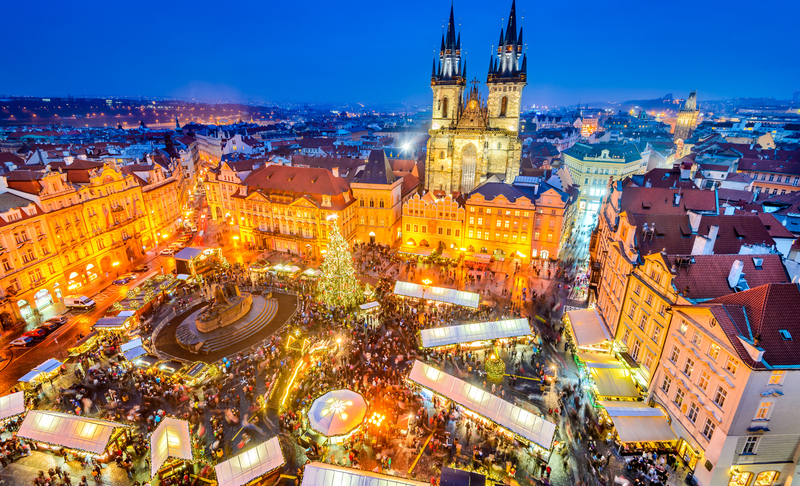 Prague Christmas markets belong to the most popular ones in the world – its beauty and fairy-tale atmosphere was ranked by CNN news server in 2017 among top ten Christmas venues in the world. The Longines Global Champions Tour launches the new GC Playoffs, dubbed the “Super Bowl of Show Jumping” in the magical winter wonderland of Prague just before Christmas, from 13-16 December, and will be the first indoor event in the global circuit’s history. The winners of every LGCT Grand Prix this season - a total of 16 riders - will go through to the individual showdown, the LGCT Super Grand Prix on Saturday 15th December. And just 16 out of 19 GCL teams will qualify for the GCL Super Cup played out over quarter final, semi final and final stages in a high octane climax to the season with €12 million in prize money for the four-day event. As well as top sport from the best international horses and riders in the world, visitors can enjoy plenty of entertainment and spectacle throughout the event. The official opening including the spectacular teams presentation will be held on Thursday, and the entertainment program will take place on Friday between the main competitions. Saturday morning entertainment will be dedicated to families with children, as well as a thrilling sound and light shows on Saturday and Sunday evening. The program will also feature Jean-François Pignon with a display of his Camargue horses, the ‘Horsemen', Cirk La Putyka ensemble and an exhibition of a four-horse team from Kladruby and Labem. The event will take place at the O2 Arena, close to the Czech capital’s city centre where Christmas markets will be in full flow, guaranteeing a lively and buzzing atmosphere. The main Christmas markets are open daily at the Old Town Square and Wenceslas Square, both within a five minute walk of each other, and feature brightly decorated wooden huts stocked with local handicrafts - ceramics, jewellery, embroidered lace, wooden toys, scented candles, Christmas tree ornaments, hats and gloves, and puppets and dolls dressed in traditional costume. A 'winter wonderland' awaits for visitors to soak up the festive atmosphere, browse the stalls, and enjoy Christmas carols, while sampling local delicacies. Traditional folk crafts, elegant old houses, baroque squares and colourfully decorated Christmas trees will really amaze you. During December, most of the sale houses are usually open daily from 10am to 10pm. Vendors offer traditional handcraft products such as Advent wreaths, wood-carved toys, glass-work ware and other Christmas decorations. Some of the refreshment places can be open until midnight. Don’t hesitate to try mulled wine (called svařák in Czech) or mead with sweet cinnamon roll called Trdelník. The Christmas markets include rich accompanying program which will feature folk, dance and music performances. For more information and to book your tickets for the GC Prague Playoffs, please click here.